Donald Trump is again at the center of a new scandal after appearing to suggest his supporters could stop his rival Hillary Clinton by exercising their gun rights. The republican candidate said that Hillary Clinton would put liberal justices on the Supreme Court if she wins the presidency in November, threatening gun ownership rights. Speaking at a rally in North Carolina, Donald Trump hinted that gun rights advocates could stop her taking power. That sparked an online outrage, many accusing the billionaire of inciting violence. Donald Trump replied that he was only urging gun rights supporters to vote in large numbers. 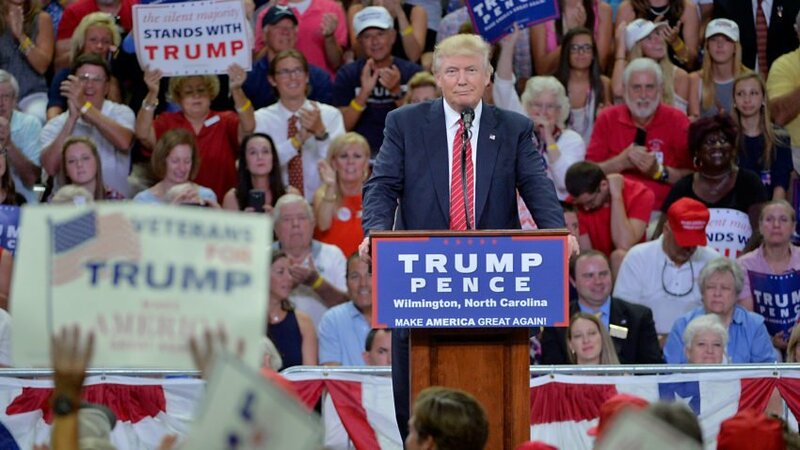 The remarks that sparked the firestorm were made at a rally in Wilmington on August 9. Donald Trump said of his Democratic rival: “Hillary wants to abolish, essentially abolish the Second Amendment. By the way, and if she gets to pick her judges, nothing you can do, folks. The Second Amendment enshrines the right to bear arms in the US Constitution. A man sitting behind Donald Trump as he made the remarks assumed a look of disbelief as he heard them. Twitter users were quick to respond to Donald Trump’s comments, criticizing him for appearing to encourage gun violence. Connecticut Senator Chris Murphy said that “unstable people” who hate Hillary Clinton could respond. Robby Mook, Hillary Clinton’s campaign manager, said “what Trump is saying is dangerous”. Donald Trump was quick to respond, tweeting that he was referring to the political power of gun rights advocates. Former New York City Mayor Rudy Giuliani backed Donald Trump, saying it clearly was not a threat but the press was involved in a “conspiracy to elect Hillary Clinton”. Some Trump supporters leaving the rally in Wilmington told CNN they were not concerned by the remarks because they were clearly a joke and they liked the fact he spoke off-the-cuff. The National Rifle Association also backed Donald Trump and warned Hillary Clinton would pick judges that would not uphold the Second Amendment. Hillary Clinton has made tightening some gun laws part of her campaign but there is no evidence that she wants to abolish the right to bear arms. A spokeswoman for the Secret Service said the agency was aware of Donald Trump’s comments but refused to answer additional questions. Donald Trump’s remarks come after eight days of negative headlines, controversial remarks and some leading Republicans saying they cannot vote for him in November’s presidential election.